32-bit AVR microcontroller featuring 64KB Flash, 16KB SRAM and Capacitive Touch Module. All of the QTouch channels can operate in a DMA-driven mode, known as DMATouch, that allows touch and proximity detection without CPU intervention. The same feature can be used to wake up the device from low-power sleep modes upon touch or proximity. This reduces the power consumption and gives greater performance. 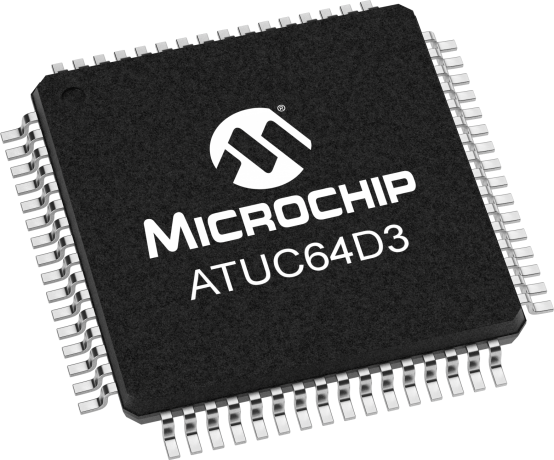 The UC3D devices deliver 61 Dhrystone MIPS (DMIPS) at 48 MHz. The UC3D is pin compatible with the UC3B series which offer an upgrade path for UC3D requiring more perfomance.